The nights have started to draw in and the days have become shorter, which means only one thing…Halloween is upon us! Halloween parties are a must, whether they are a crazy dress-up party for family and friends and little ones, or a stylish dinner party. 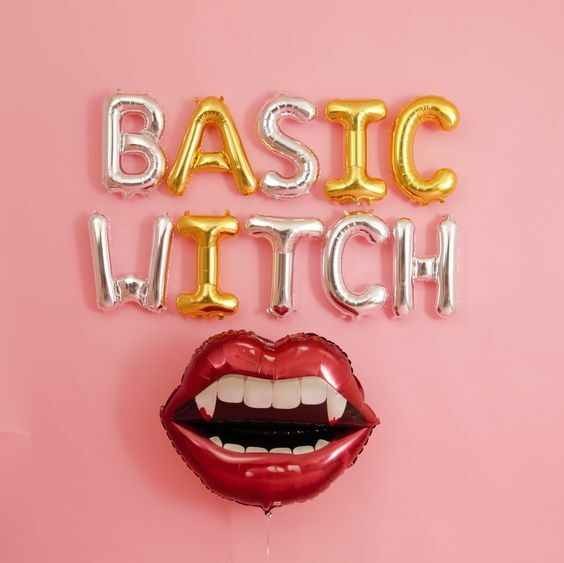 The spooky nights are here so how far will you go to create that perfect Halloween look?! 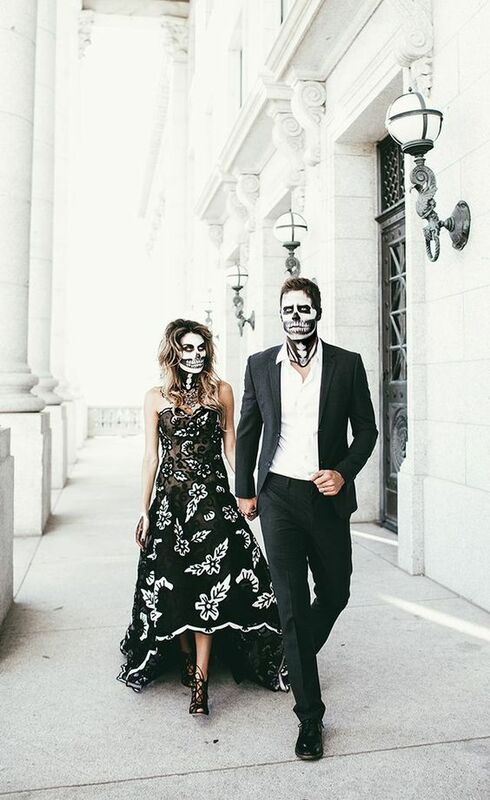 Recently, we had one of our clients asks us what styling they should have for their Halloween party at a cool, rustic London club. A blank canvas room with stunning furnishing – the perfect setting for us to play. Our style suggestions and styles were as follows: Gothic graveyard horror show meets haunted house party… Not your average kids Halloween party with ‘bob the apple’ that’s for sure! So where do you go with it? The possibilities are endless. 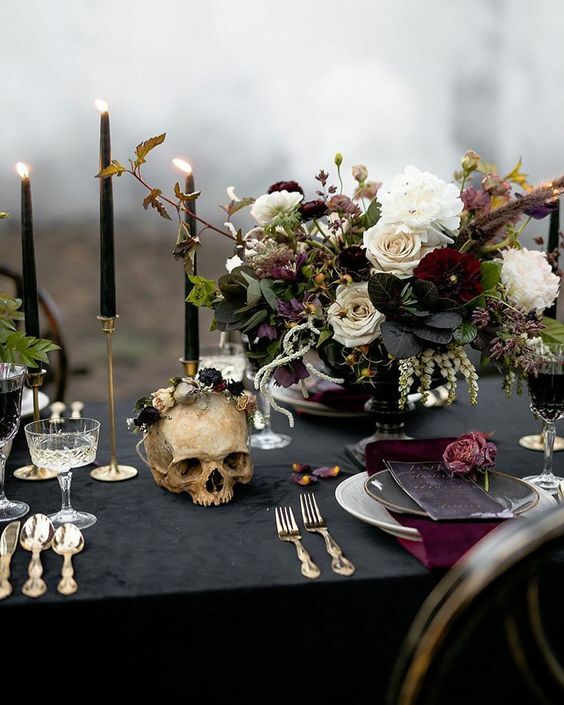 Halloween styling can merge the traditional pumpkins, spiders and skeletons with stylish candlesticks and autumnal floral arrangements. 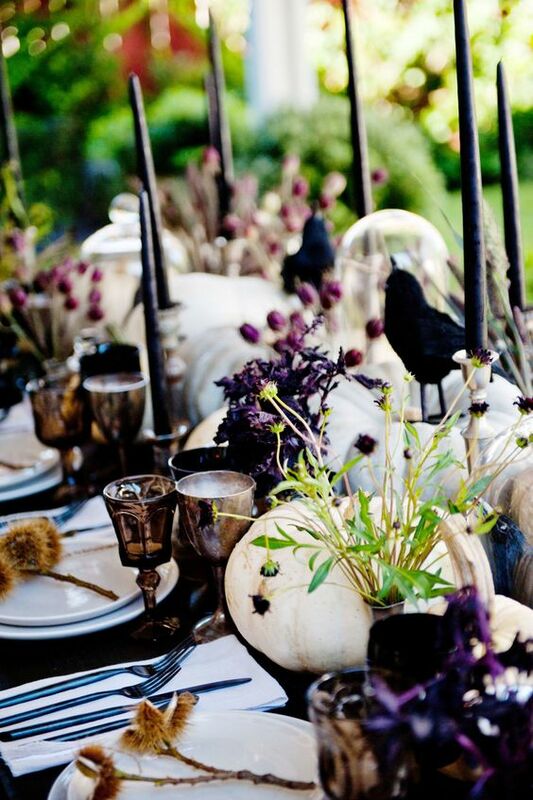 As a result you will create an powerfully spooky, yet chic setting. The cobwebs and candles are a must have but that’s the only must have. Other than that, anything goes! Bright pumpkins and flowers provide excellent colour and texture to the table, but why not look at the more vintage abnormal pumpkins which you can get from Wholefoods Food Market. Flowers can add depth, shape and texture any design. Mixing stylish dark florals into a prop heavy design can lift the style and add a luxurious and soft effect without it being to forced or “gimmicky”. The options are endless and with this one you really can go all out!